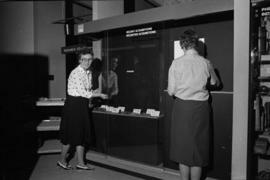 Item is a negative image showing two women beginning to assemble the exhibit <i>On Stoney Ground</i> in the Museum of Anthropology, UBC. 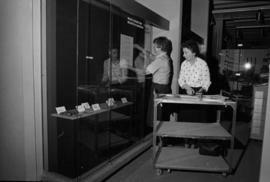 Item is a negative image showing five women beginning to assemble the exhibit <i>On Stoney Ground</i> in the Museum of Anthropology, UBC. 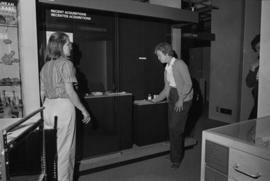 Item is a negative image showing two women beginning to assemble the exhibit <i>On Stoney Ground</i> in the Museum of Anthropology, UBC. 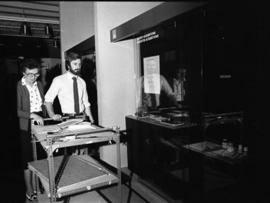 There is a cart in the foreground. 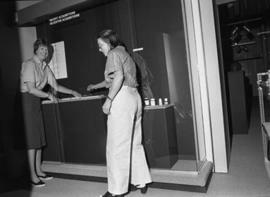 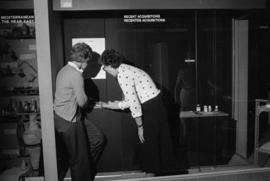 Item is a negative image showing two women assembling the exhibit <i>On Stoney Ground</i> in the Museum of Anthropology, UBC. 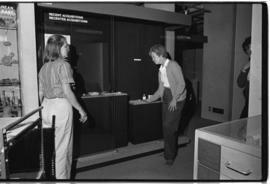 Item is a negative image showing three women beginning to assemble the exhibit <i>On Stoney Ground</i> in the Museum of Anthropology, UBC. 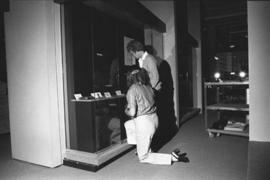 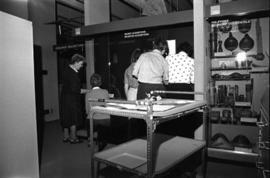 Item is a negative image showing a man and a women assembling the exhibit <i>On Stoney Ground</i> in the Museum of Anthropology, UBC. 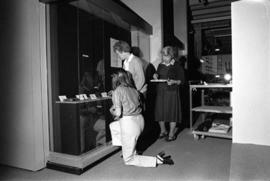 Subseries contains images of people working in the Museum of Anthropology collections installing the exhibit On Stony Ground.